Another game, another blown fourth quarter lead. The Chargers (5-7) very small chance of making the playoffs were lost Sunday as the Buccaneers (7-5) shut them down late to win 28-21. Both sides of the ball struggled in the second half for the Bolts and they were never able to overcome poor time management and missed opportunities. The Chargers received the kickoff to start the game, and made the most of it, moving the ball at will and scoring on a big play to Dontrelle Inman who caught the ball near the sideline before sidestepping a defender and diving for the goal line for a 35-yard touchdown. The Buccaneers would have a scary moment on their first drive of the game when Cecil Shorts took a vicious blow from Jahleel Addae on a first down reception and had to be carted off the field. Two plays later the Casey Hayward jumped in front of a Mike Evans route earning his league-leading seventh interception of the season and giving the ball to the Chargers on their own 49-yard line. After taking a third down sack, the Chargers were forced try a 54-yard field goal and once again Josh Lambo could not hit a 50+ yard field goal, and it was maybe the worst kick he’s had all year, missing by a huge margin. This gave Tampa Bay the ball in great field position and the Bucs’ capitalized on the mistake by tying the game at seven all with a 2-yard touchdown run by Doug Martin. 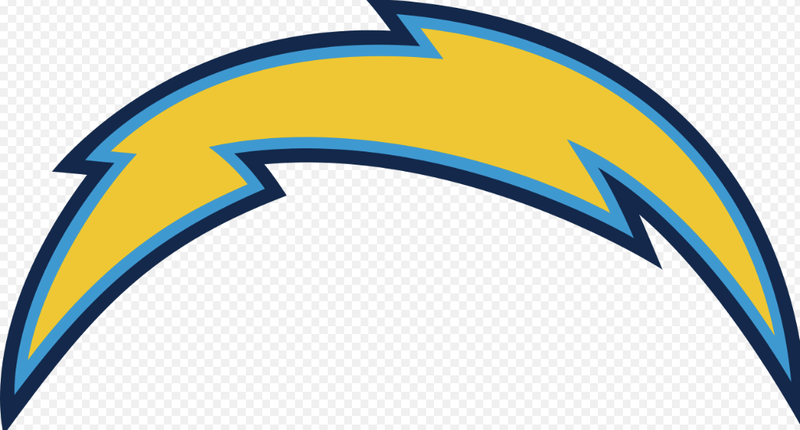 The Bolts would respond on the very next drive using an 11-play, 75-yard drive culminating in Melvin Gordon scoring his tenth rushing touchdown of the season, taking it in from 2 yards out to break his two-game scoreless streak to make it 14-7. Melvin Gordon was finding success accounting for 40 yards on the drive. The Chargers would catch a big break before the half as Tampa Bay marched all the way to the San Diego 13-yard line, but they would have to attempt a chip-shot 31-yard field goal, but the struggling rookie kicker would miss. After the Buccaneers started the second half scoring with a field goal to make it 14-10, it was the defense that really turned the game around for Tampa Bay. The Chargers had the ball on their own 8-yard line when Philip Rivers tried to squeeze the ball into Tyrell Williams, who was covered, and the ball bounced off the receiver and into the arms of Lavonte David who had no-one to beat as he basically walked into the end zone to put the Bucs’ up three. After struggling to find a rhythm since the first half, the Bolts went back to the running game feeding it to Melvin Gordon four-straight times, gaining 35 yards. On the next play, the Chargers took a shot downfield with the line giving Rivers just enough time to find Tyrell Williams on double-move against Brent Grimes for a 40-yard touchdown to put the Chargers up 21-17. The Buccaneers had figured something out against this defense in the second half and it showed again as they moved down the field easily with the passing game using a 38-yard catch by Cameron Brate to tack on another field goal to cut the Chargers lead to only one. The Chargers had a chance to strike back quickly, on third down Philip Rivers aired it out down the field about 50 yards to a wide open Travis Benjamin, but the ball went off his outstretched hands falling harmlessly to the ground. This kept the momentum in favor of the Buccaneers, and once again they carved up the chargers pass coverage, needing only four plays to score on a 12-yard touchdown to Cameron Brate. Tampa bay went for the two-point conversion and succeeded as Joey Bosa could not bring down Jameis Winston in the backfield, and he found Mike Evans in the back of the end zone to make put his team up 28-21. With time running out the Chargers looked poised to score moving down to the Tampa Bay 31-yard line, but on 2nd-and-1 Philip Rivers tried to make a big play, instead of going for the first down, and lofted a pass down towards the end zone and the underthrown pass was intercepted by Keith Tandy for a touchback. The Bucs’ would run the ball three straight times for a first down, and that sealed the game because the Chargers had burned two of their timeouts already and could not stop the clock so Jameis Winston was able to take a knee to end the game. The Chargers playoff hopes were very slim going into this game, but December was the time they could get hot as they have done in the past, but now it’s too late. With all of the uncertainty around the Chargers relocating they will now have to finish their season without the hopes of a playoff run, in possibly their last season in San Diego. The Chargers will now travel to Charlotte this week to take on the NFC Champion Carolina Panthers Sunday, December 11th at 10 AM Pacific Time.